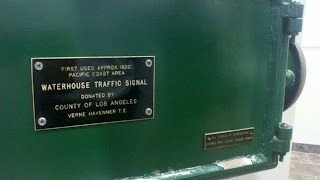 This traffic signal was found in the Texas Transportation Institute's lobby and is a Waterhouse Traffic Signal that was in the City of Los Angeles in the 1930s. 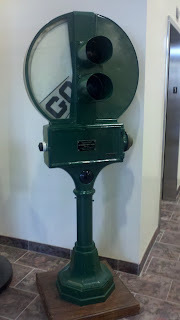 The traffic signal has the Go indication that rotates in and out. The industry has quite a lot of discussion about clearance intervals these days and the historic traffic signals are a great opportunities to look at what has worked. This indication did not have a yellow and show red directly from green. 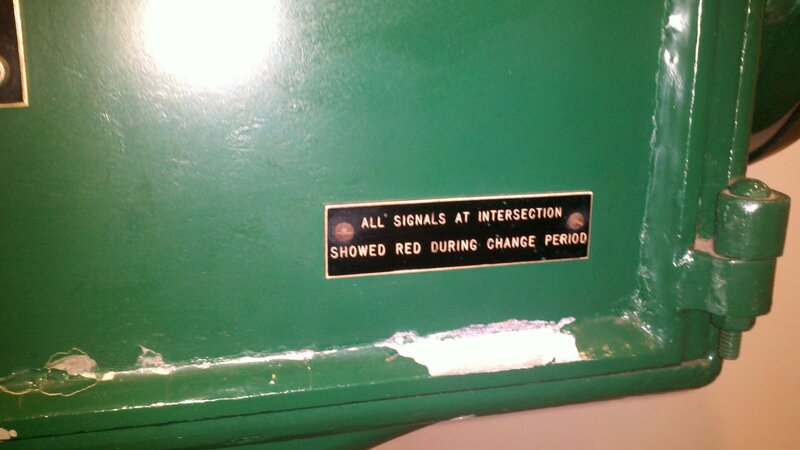 Thus, you're supposed to stop as soon as it changes and leave it to the next movement to determine when it is safe to enter the intersection.